The Royal Canadian Mounted Police began dismantling an alleged international money-laundering network Monday morning with 12 arrests expected in the Montreal region and seven in the Toronto area. 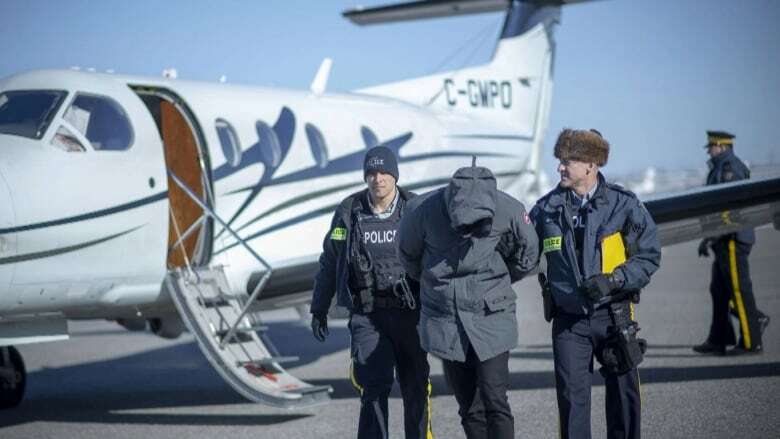 Officers were targeting individuals who were collecting money from criminal organizations and laundering the funds earned from illicit activities, according to RCMP Sgt. Luc Thibault. Among those being arrested, he said, are the two suspected ring leaders. Thibault was unable to say how many people had been arrested by about 8:15 a.m. Monday, as, he explained, officers were still looking for suspects. In Toronto, the RCMP is reporting 11 searches and 14 arrests with the two alleged ring leaders arrested there. The investigation, dubbed "Project Collecteur," was conducted between the spring of 2016 and the spring of 2018, Thibault said. Once the investigation was complete, the RCMP began planning the arrests. More than 300 officers were involved in the raids Monday morning. The RCMP teamed up with Montreal, Laval and Toronto police. "We seized large quantities of drugs, including cannabis, cocaine, hashish and methamphetamine," Thibault said. Some $1.7 million in cash and properties belonging to the suspects has been seized so far. The RCMP says that amount is likely to increase. When asked if those arrested were members of motorcycle gangs or the Mafia, Thibault said, it was "just a group" of people who will now face range charges such as drug trafficking and money laundering. More details of will be released Tuesday, he said, when the RCMP holds a press conference.